Today is the Earned Income Tax Credit Awareness Day. For an overview of the EITC, please refer to this post. 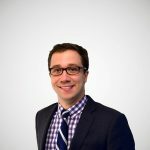 According to the IRS, 19.2 percent of the 146 million income tax filers in 2011 claimed the Earned Income Tax Credit across the United States. However, looking at each state, the proportion of filers in each state that claim the EITC varies based on region and income of the state. Lower-income, southern states had a higher proportion of EITC recipients than other states. Mississippi (32.8 percent), Louisiana (27.3 percent), Alabama (26.3 percent), and Arkansas (25.8 percent) had the highest proportion of EITC recipients as a percent of tax filers in those states. On the flip side, higher-income states had the lowest proportions. 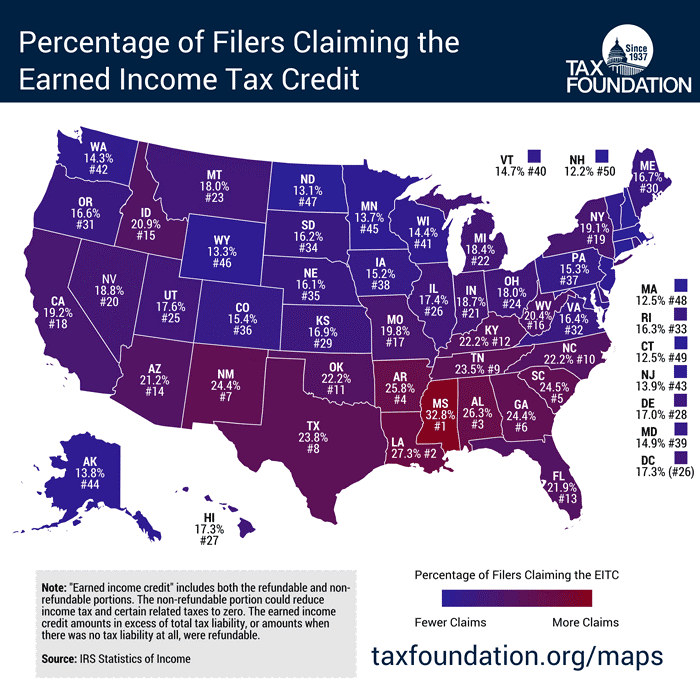 New Hampshire (12.2 percent), Connecticut (12.5 percent), Massachusetts (12.5 percent), and North Dakota (13.1 percent) had the lowest proportion of EITC recipients as a percent of each state’s income tax filers.